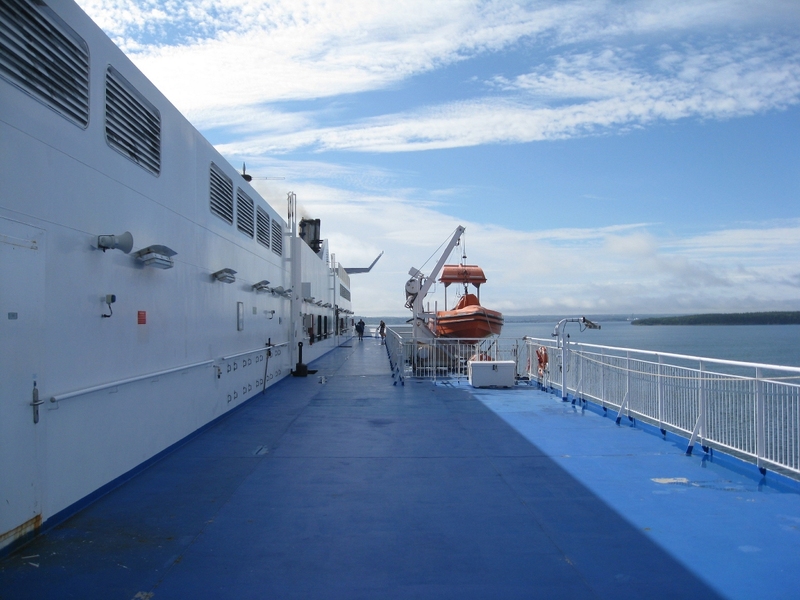 If you’ve never been to sea before, crossing the Gulf of St. Lawrence via the Cabot Strait to Newfoundland makes for a great first ocean-going experience. The crossing is just long enough to get the feel of being on the open ocean, yet it’s short enough—6 hours, give or take, to the nearest landing—to keep a person from feeling overwhelmed by all that water. And it certainly is a fitting way to visit this sea-faring province. 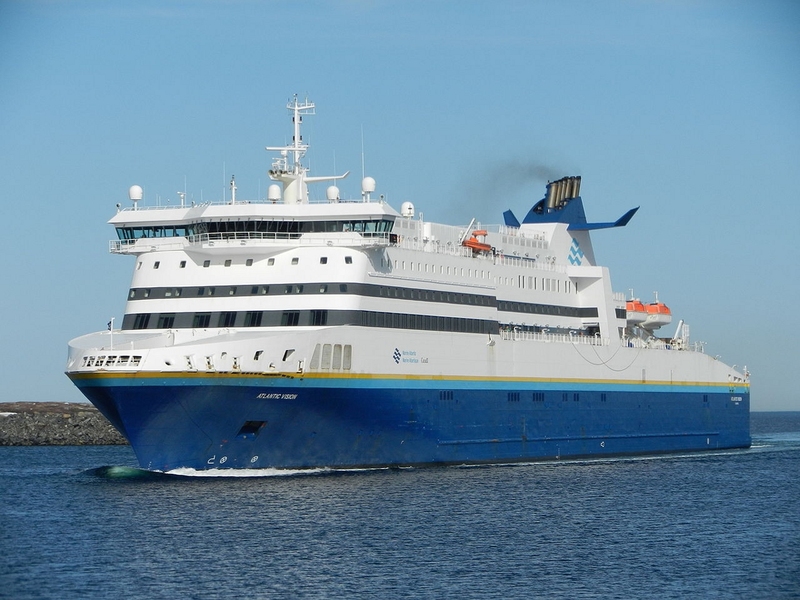 Marine Atlantic ferries run several times daily between North Sydney (Nova Scotia) and Port-aux-Basques during the summer season, and once daily between North Sydney and Argentia, on the eastern side of the island. These ice-class vessels are huge compared to most ferries, carrying anywhere from 500 to 1200 passengers and from 300 to 350 passenger vehicles, so there’s plenty of room to roam on-board. A reservation is required and best made early. Since the ferry is Newfoundland’s main link to the rest of Canada, there are many islanders as well as visitors booking passage, and you don’t want to be stuck cooling your heels at the terminal, waiting for the next ship to sail. Newfoundland is 96 nautical miles off the east coast of Canada. While this may not seem far, it’s a whole different experience than driving the same distance. It’s more relaxing, for one thing, and at the same time more exciting. 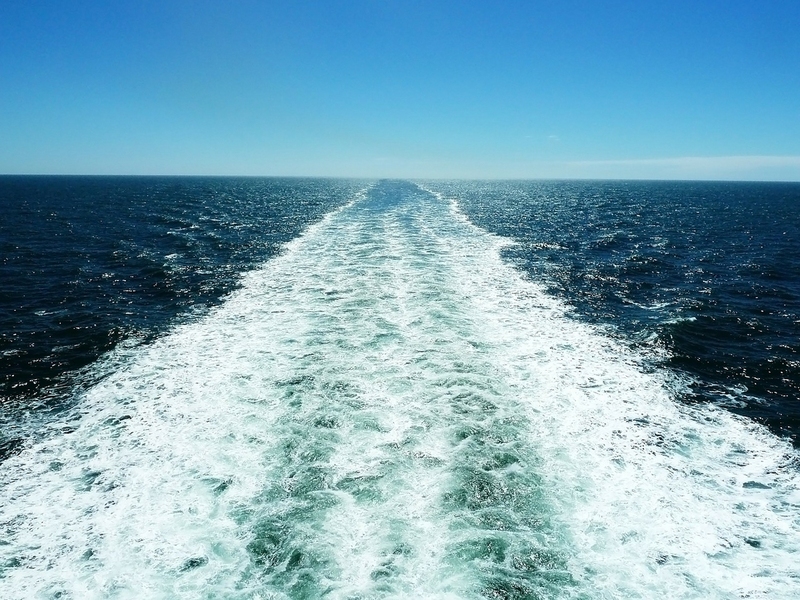 You’ll be crossing the open ocean, no land to be seen, and depending on which route you take and which ferry, this means anywhere from five to sixteen hours on the water—plenty of time to get your ‘sea legs’. It’s chilly at sea, no matter what the temperature on land, so come prepared with warm clothing to better enjoy your time out on deck. Also, once your vehicle is secured, you won’t be allowed to return to the vehicle deck when the ship is underway, so be sure to bring everything you’ll need for the voyage with you to the upper level. 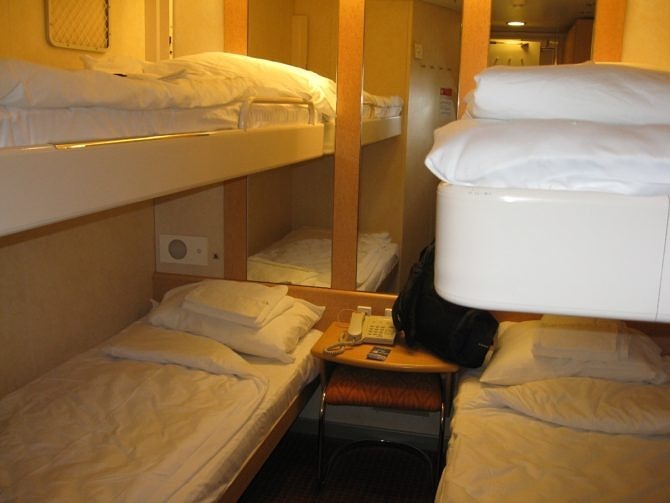 Whether you’re crossing by night or by day, you may want to take advantage of the sleeping accommodations on board. Cabins accommodate two or four persons and are equipped with a remote controlled television, hair dryer, duvets and writing desk with stool. They also have private washroom facilities that include shower, sink, toilet and mirror. Adapted cabins offer all the same amenities but are specially outfitted to accommodate disabled passengers, with features such as wheelchair accessible shower, safety grab bars, lowered coat racks and visual door bell. 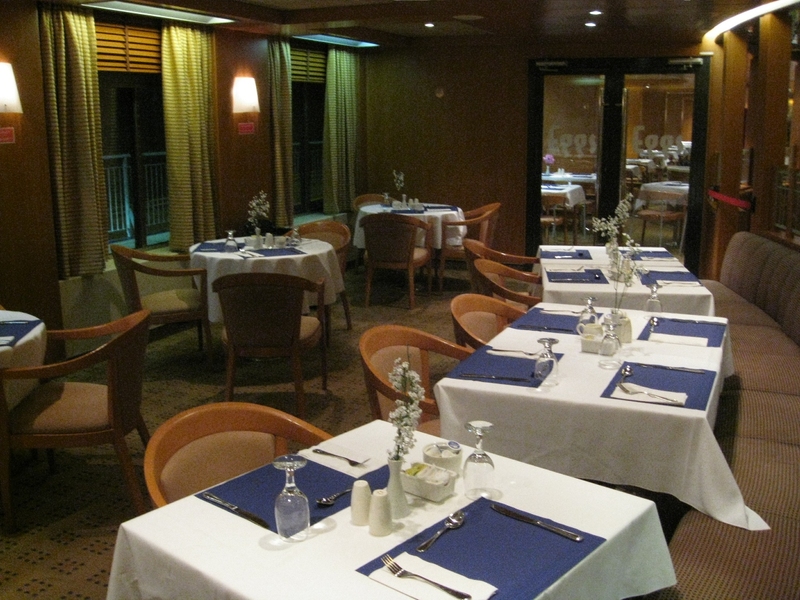 Deluxe cabins may also be available, depending on the ship. These super comfortable accommodations offer queen sized beds, a telephone and complementary juice and pop in the in-cabin refrigerator. If you’re travelling on a budget, reserved seating is the most economical choice, and allows for a snooze in a reclining chair with a foot rest. The lights are dimmed at night, but there are a few distractions that might keep you awake, like wandering people. You’ll want your own pillow and blanket, too. And for those who wish to take their beloved pet along on the adventure, the ships have on-board kennel stowage areas, so your four-legged companion can make the journey in comfort and safety. These spaces are limited, though, so you’d do well to reserve a spot for Fido well in advance of sailing. Boredom won’t be an issue during the daytime. 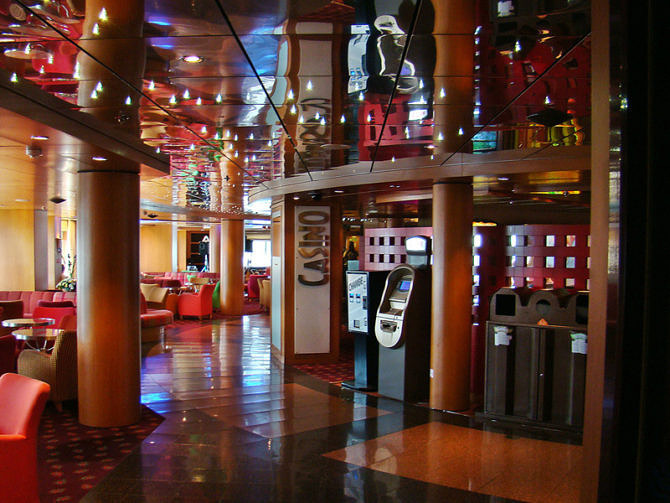 You can watch feature length movies in the lounge area, enjoy a cocktail at the bar, try your hand at games of skill in the arcade or even surf the Internet. There’s a special place for children to play and watch videos, too, and a souvenir shop, where you can pick up mementos of your voyage. There’s a wide selection of merchandise, and the prices are reasonable, as far as souvenirs go. 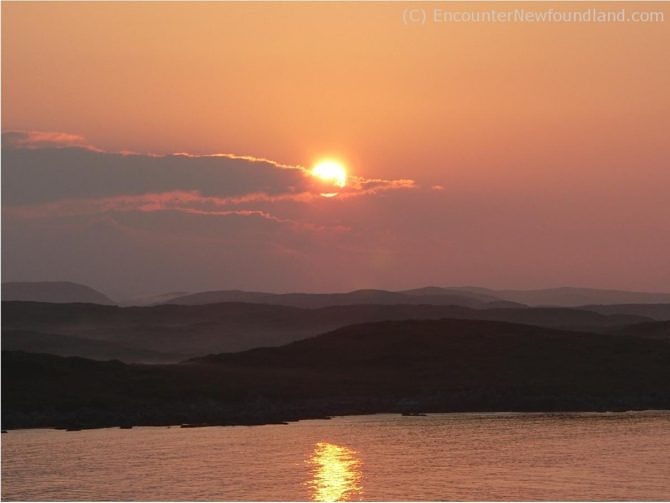 A nighttime crossing, however, is a different kettle of fish, as they say, especially if you haven’t booked a cabin to sleep the night away. Most of the amenities are closed for the overnight voyages, although you can still get a cup of coffee and play the video games. You’d do well to bring along a book or other portable pastime to while away the hours. One of the most enjoyable on-board activities, and one that can be undertaken day or night, is simply strolling the deck. There’s nothing quite like the feel of the salt-sea air on your face as you stand at the bow of a sea-going vessel ploughing though the briny waves, the wind blowing through your hair, the sounds and smells of the ocean surrounding you. Keep a sharp eye out while you stroll; if you’re lucky you’ll get to sail with the dolphins, who often like to play in the ship’s wake or swim alongside. You may even see the occasional whale swimming by. Seabirds often land on the ship, too. It’s a convenient rest stop in the middle of nowhere. After an hour or so out on deck, you’ll be ready to sit down to a meal—the sea air has a way of awakening the appetite. Everything from soup to nuts is on offer, and again depending on the ship, you’ll have a choice of places to grab some grub, from full course and buffet dining to quick snacks and seasonal ice cream shops. Since you’re at sea, why not have seafood to compliment the experience? (Hint: try the fish and chips for excellent value and flavour.) Afterwards, you can have a post dinner nip in the bar while enjoying a bit of traditional Newfoundland entertainment. 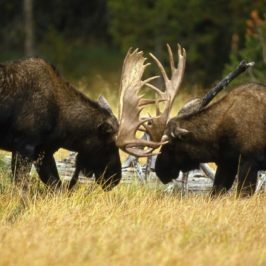 You’ll think you’re in Newfoundland even before you get here. As a grand finale to your sea-going adventure, be sure to go out on deck as the ship approaches land. The sight of the rugged granite coastline rising out of the waves and the colourful houses clinging tenaciously to the rocky cliffs is one not to be missed. And the sunrise over the mountains isn’t half bad, either. Your first sight of Newfoundland from the water will be as enjoyable as your voyage across the strait. As with any trip, the journey is half the fun, and you’ll be glad you chose to come by sea once you’ve had a taste of sailing o’er the deep. For more information on the Marine Atlantic ferry service, including rates, schedules and other essential information, visit their website here.